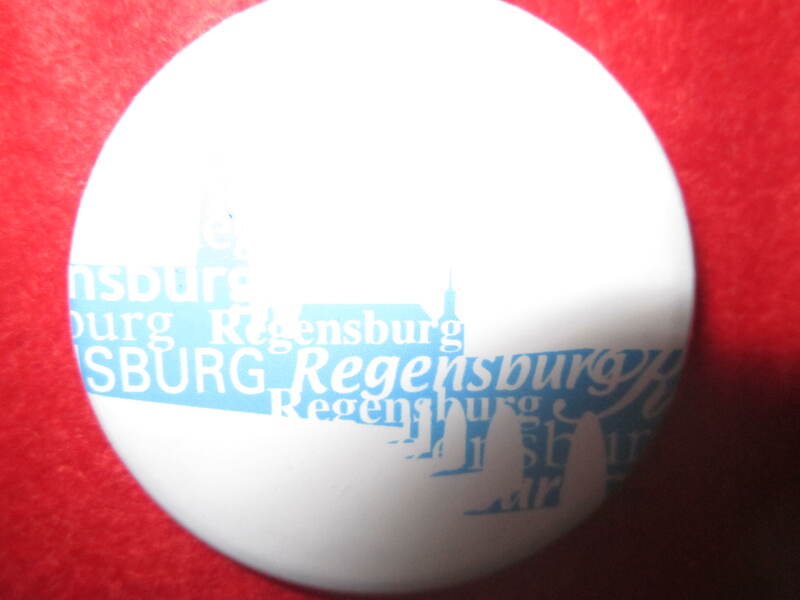 I love Regensburg too. Definitely worth a visit if you haven’t been before. One of the many beautiful buildings in Regensburg’s old town quarter. 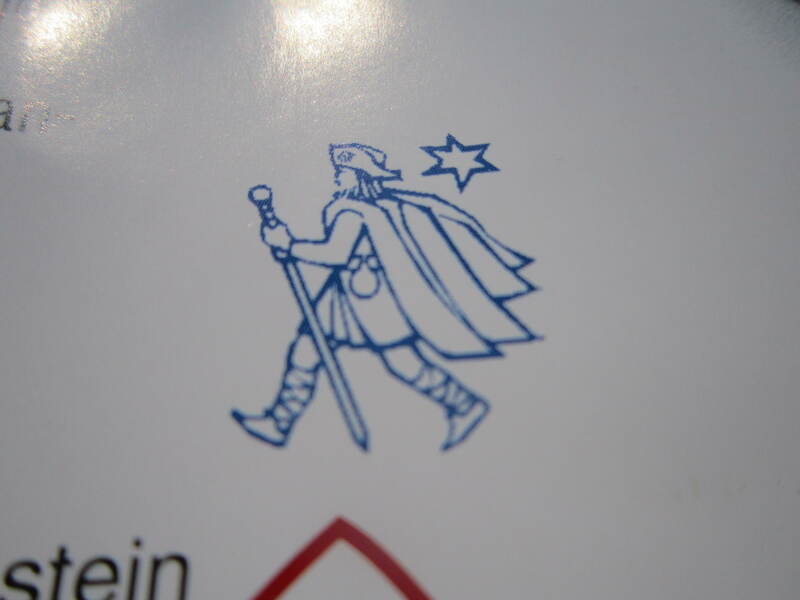 Finally found the right office where to get a stamp in my Pilgrim Passport and this one was personally stamped by the Bishop of Regensburg. 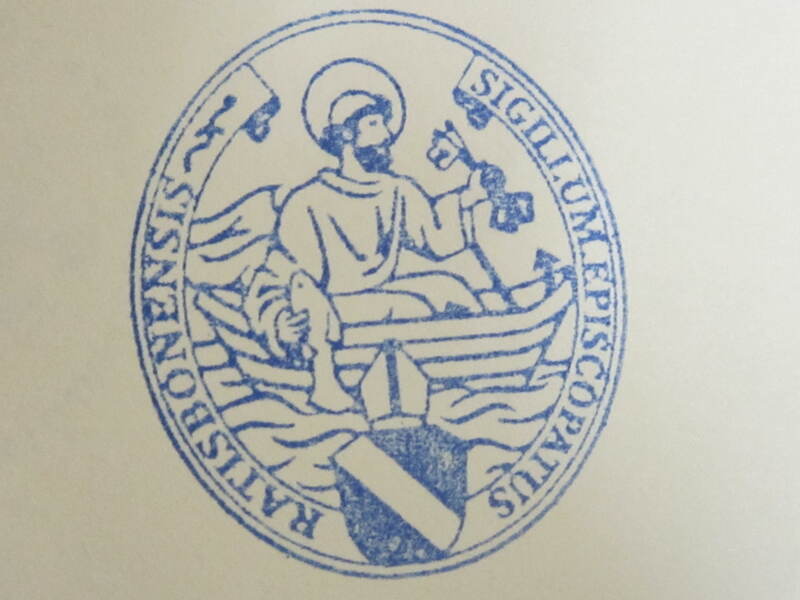 Saint Peter is the star of this stamp. 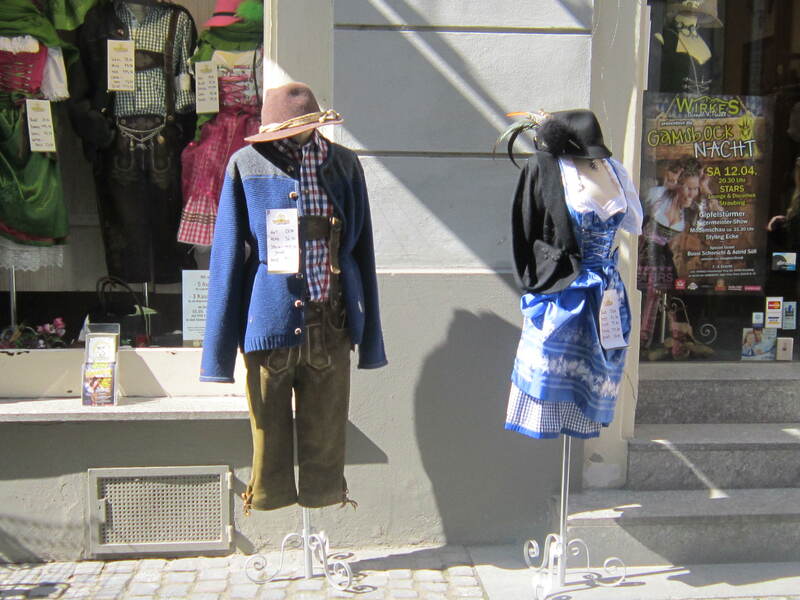 Lederhosen are the new lederhosen here in Bavaria. 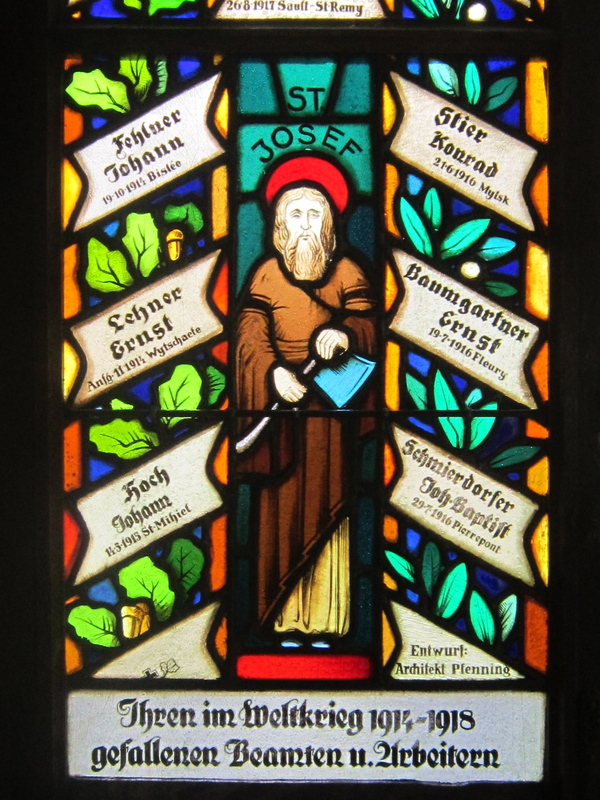 On a stained glass window in the centre of Regensburg, Saint Joseph is probably the most direct and no-nonsense saint. 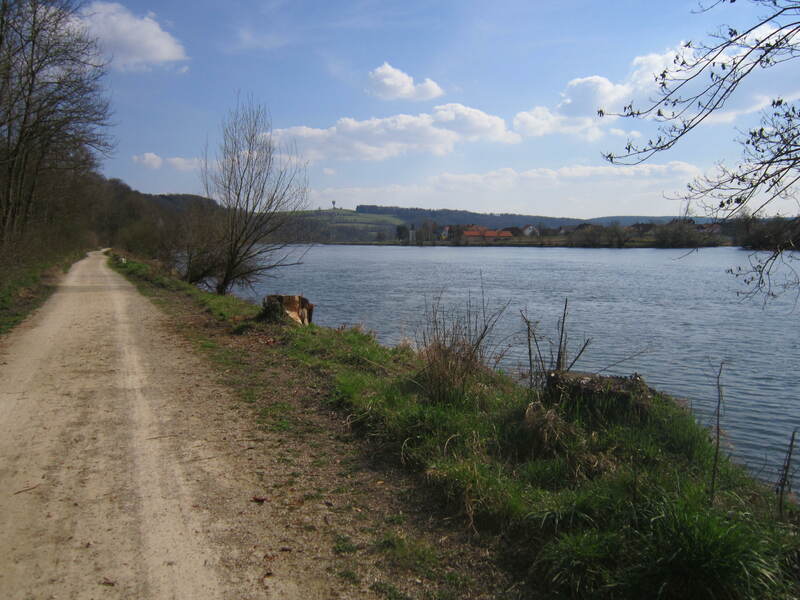 Since Regensburg the path has followed the route of the river Danube and it is truly blissful walking. I hope it continues. 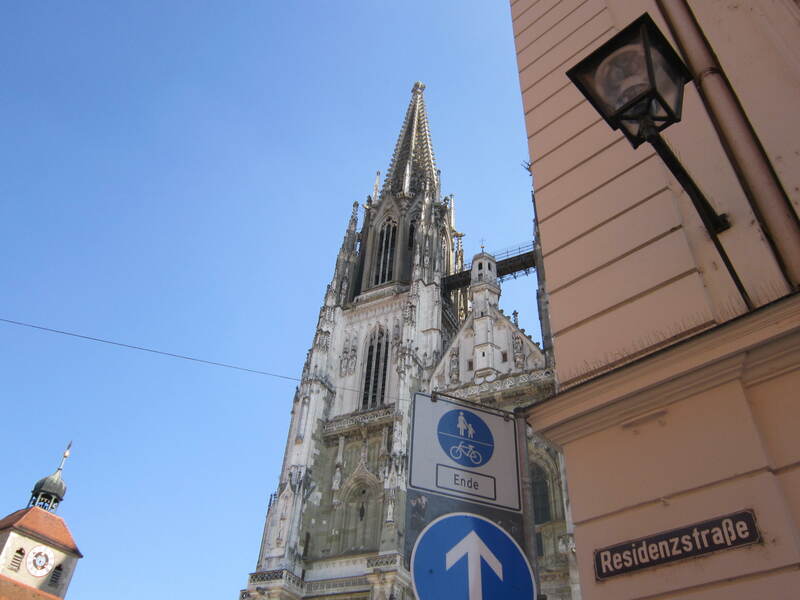 The weather is also beautiful with sunny blue skies glistening in reflection off the glimmering of the Danube. 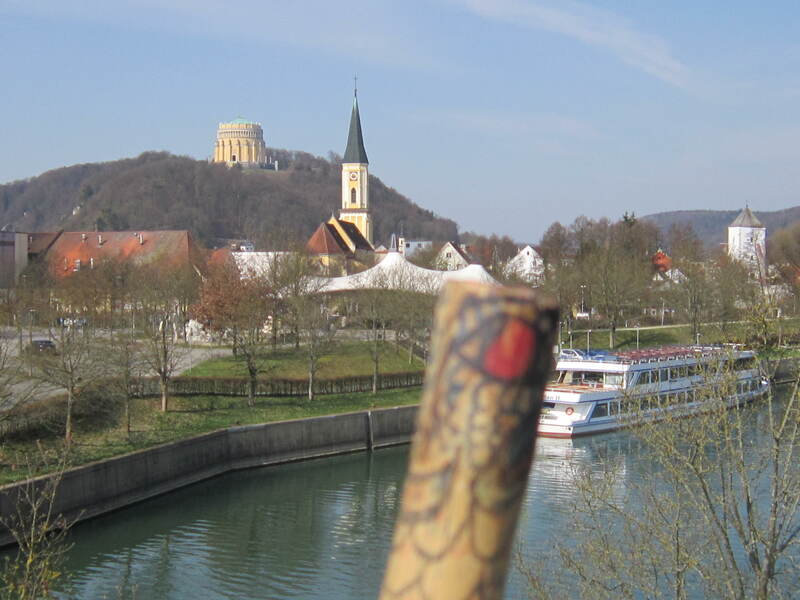 I took a brief Time Out to walk from the Danube up to the village of Pentling. 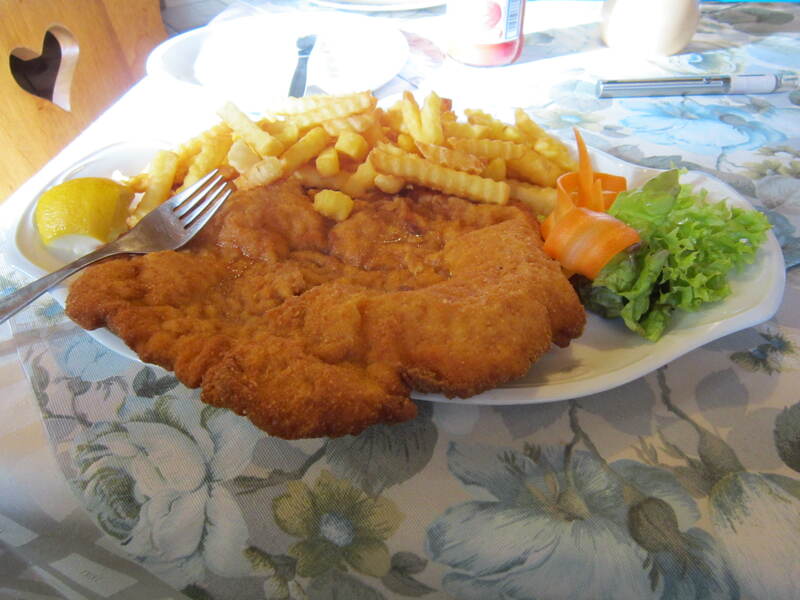 I wanted to get something to eat as there were no shops around so I stopped into a restaurant and almost doubled my daily 5 Euro meal budget by ordering the 8,90 Euro house schnitzel. It was humungous. Cooked in butter it was also VERY heavy and I walked on into the late evening at high speed just to get rid of the heavy feeling in my stomach. 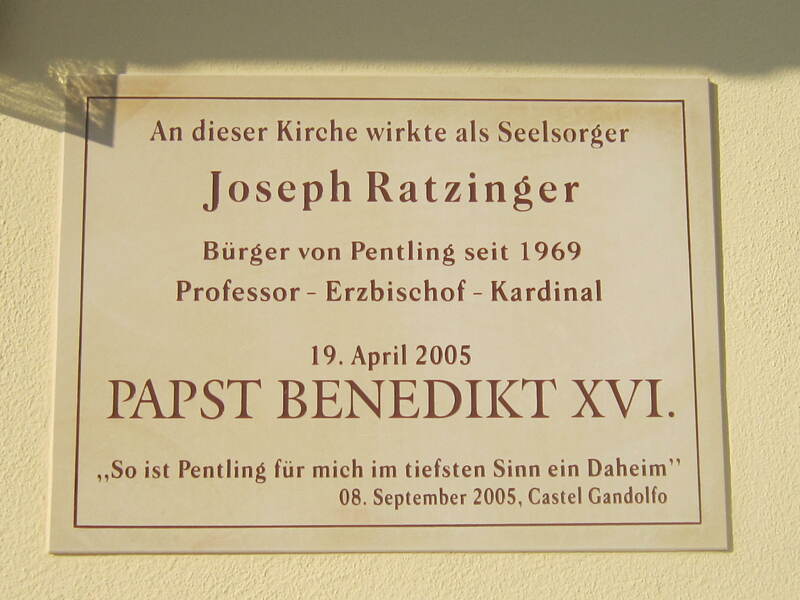 Before leaving Pentling though I quickly visited Ratzinger’s old haunting ground at the Papstkirche in the same village (Pentling). 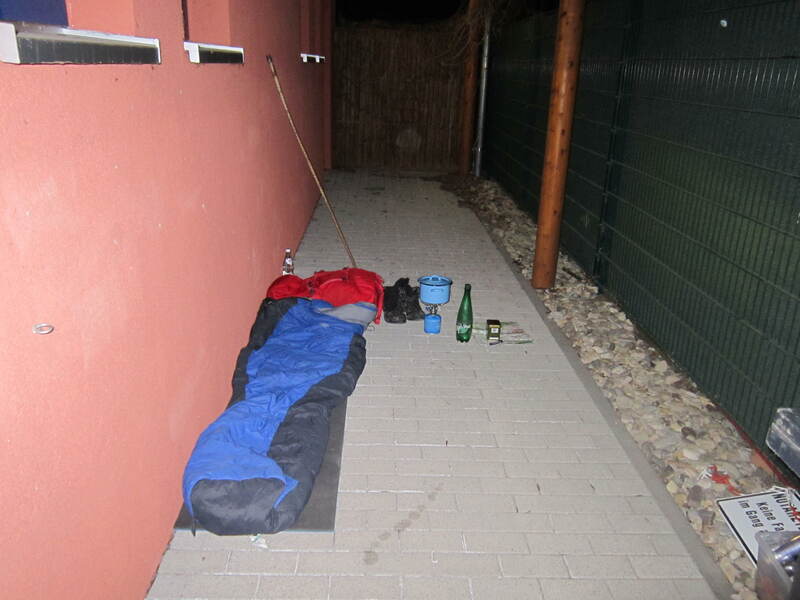 I crashed out for the night at the side of a building, just outside of Bad Abbach. Had a lovely sleep. 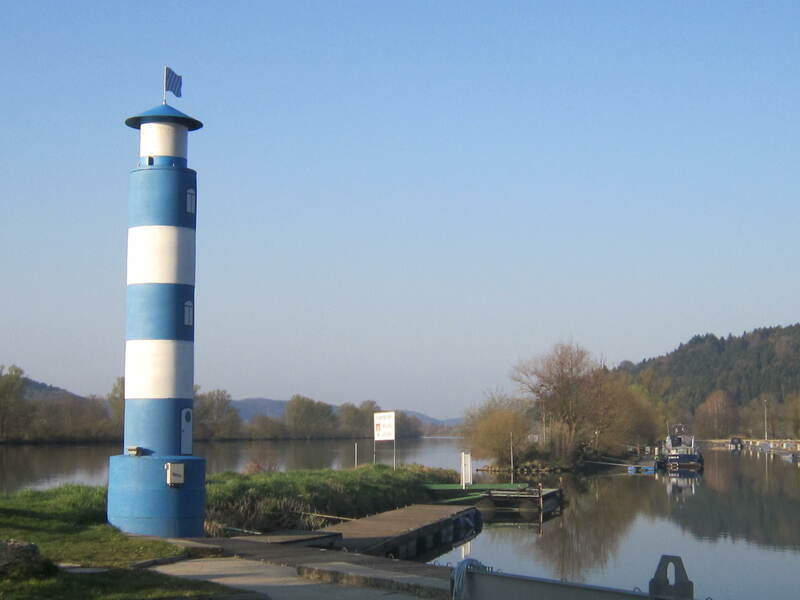 This morning I started off at first light-ish and continued to follow the route of the Danube river. 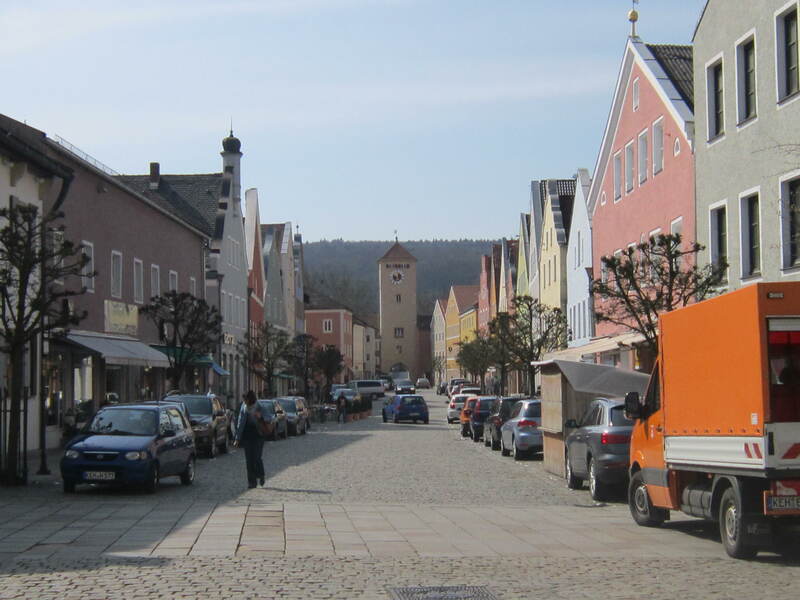 I arrived into the very beautiful (much smaller than Regensburg) town of Kelheim this morning and in about 20 minutes I’m going to continue on. 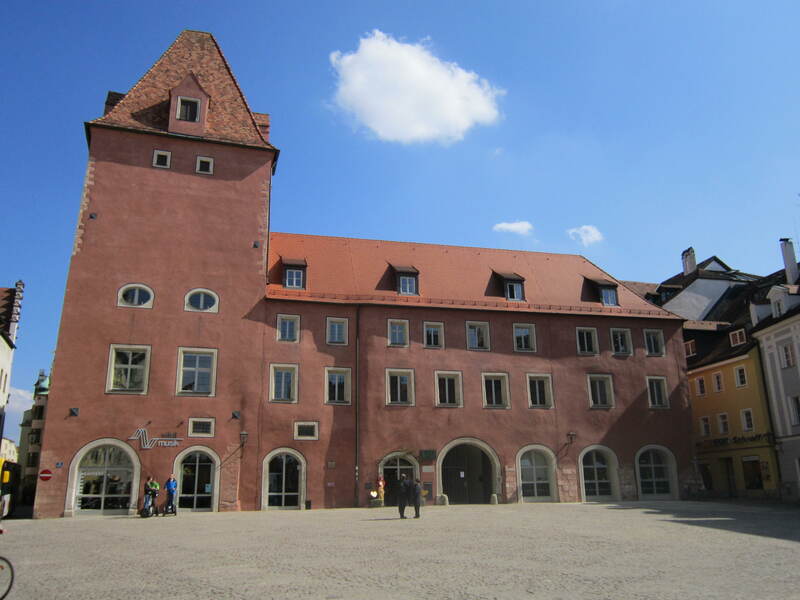 My next stop is the monastery at Weltenburg.